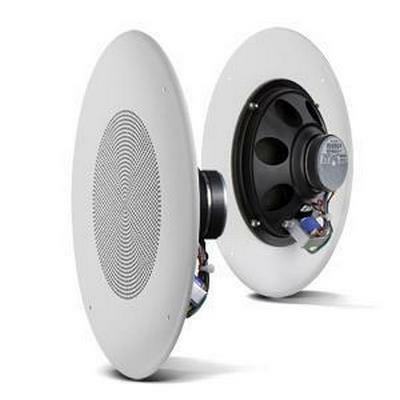 JBL CONTROL 18C/T Two-Way 200 mm (8 in) Co-axial Ceiling Loudspeaker. 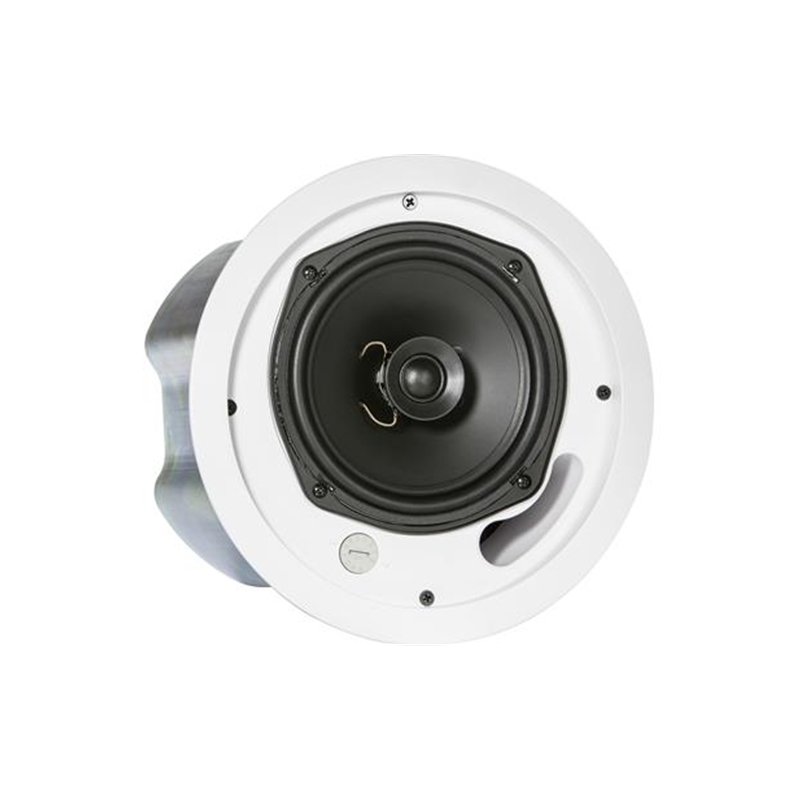 8 inch high output driver with polypropylene cone and butyl rubber surround and 25 mm (1 in) soft-dome liquid-cooled tweeter, 58 Hz – 20 kHz bandwidth, focused 90° coverage, high 92 dB sensitivity. Blind-mount backcan for quick and easy installation, dual conduit/cable clamp for in and thru cables. 60 W multi-tap transformer at 70V/100V and 8Ω direct setting for 90 Watts (260W peak). White. 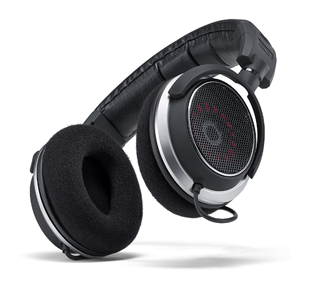 Sold as each, packed in pairs. 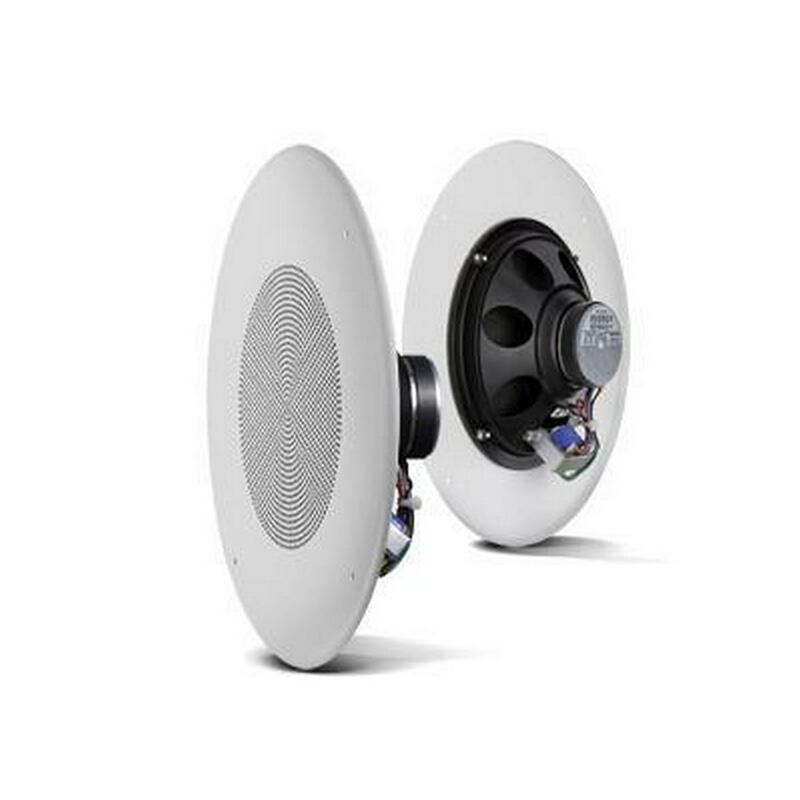 Master pack = 2 speakers.